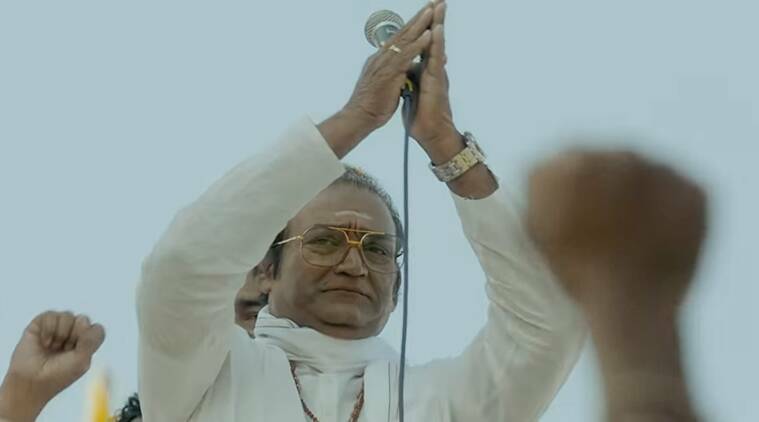 Lakshmi's NTR new trailer: Directed by Ram Gopal Varma and Agasthya Manju, Lakshmi's NTR stars P Vijay Kumar, Yagna Shetty and Sritej. Namrata Dutt on RGV’s Sanjay Dutt biopic: Why is he putting us through so much pain again? Director RGV on Friday released a new trailer of his upcoming film Lakshmi’s NTR, which is based on late movie-god NT Rama Rao’s tumultuous journey in the world of politics. The first trailer introduced us to the main conflict, which is Laksmi’s entry into NTR’s life. The latest trailer gives a sneak peek into the high-voltage political drama that plays out over NTR’s relationship with Lakshmi Parvathi. It won’t come as a surprise if Lakshmi’s NTR kicks up a storm in political circles with the elections just around the corner. The second trailer portrays Andhra Pradesh Chief Minister N Chandrababu Naidu as a cunning and ruthless politician, who betrays his own family for the sake of power. The film is unlikely to favour even NTR’s family. Going by the trailer, his family turned against him after his decision to marry Lakshmi Parvathi, who was 33 years younger than him. Laksmi’s NTR is getting ready to hit the screens soon. RGV has shared the direction credit with Agasthya Manju.